Heyllo Ladies, After a long time I’m back with an outfit post 🙂 Whenever I dress up I forget to take pics or can’t get enough pics to do an outfit post, so that is why I’m not frequent with outfit posts. 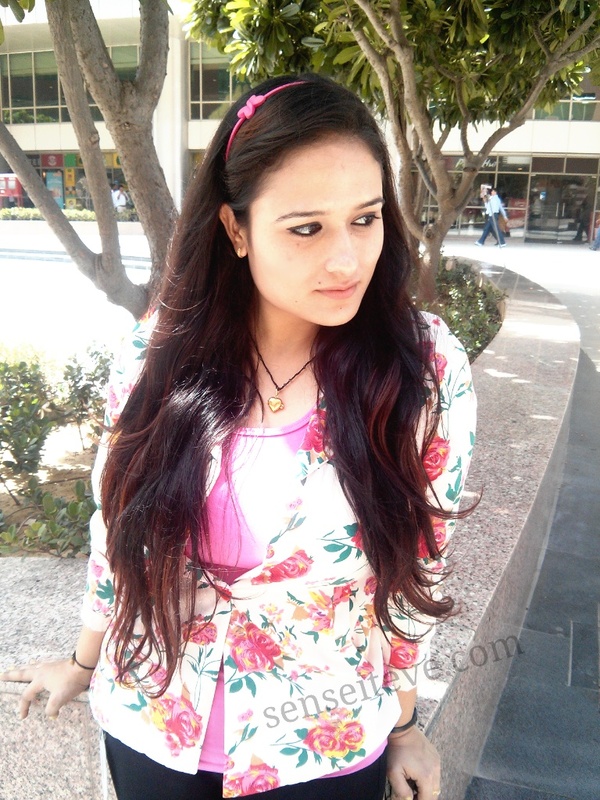 But anyways thanks to my very good friend who clicked my pics for today’s post. 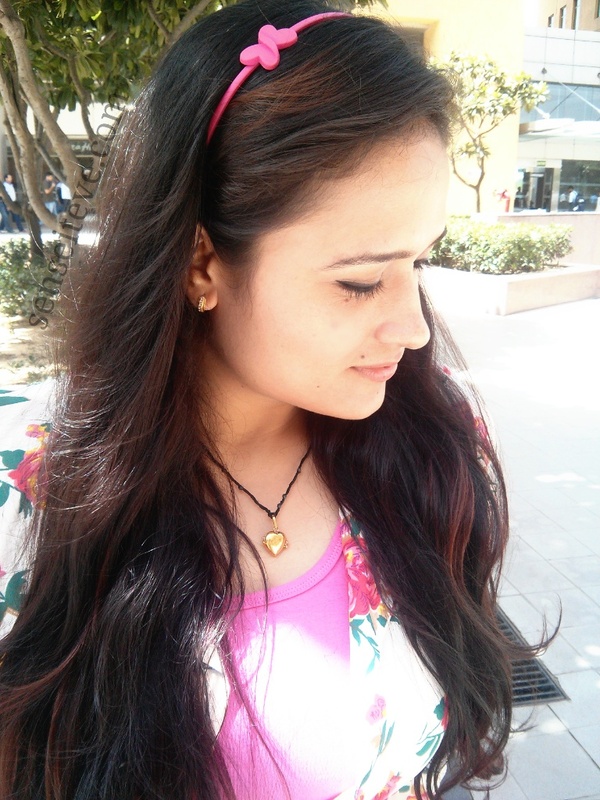 It is still feeling like summers in Gurgaon..god it’s unbearably hot here 🙁 So I try to perk up my mood with summery clothes and prints 😀 I wore this outfit to office on casual day on which semi-formals are allowed that means you cannot wear jeans to office 🙁 I know it’s sad, we should get atleast one day to wear jeans. 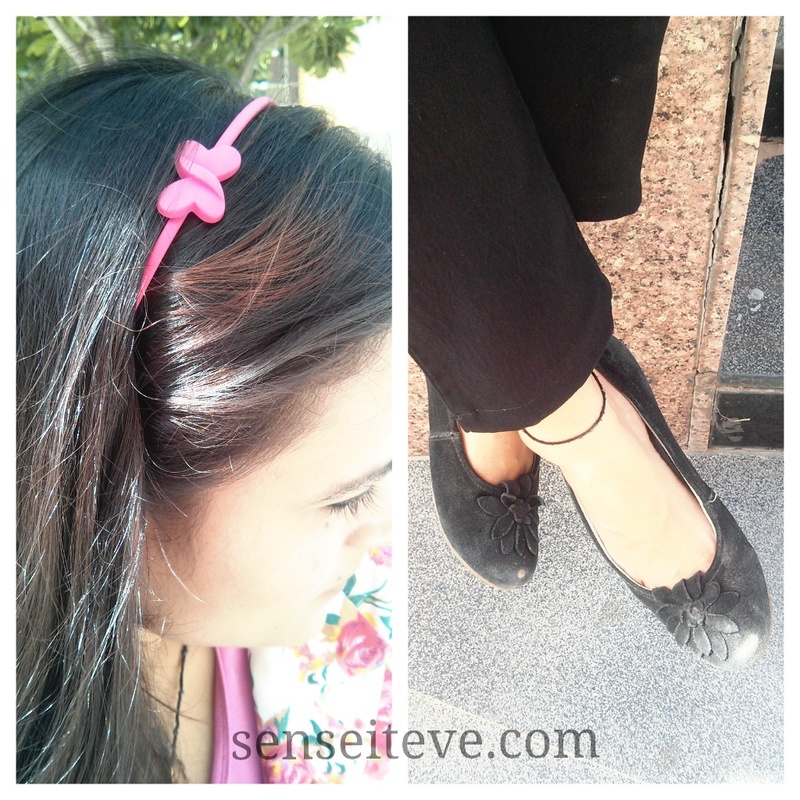 I love colored hairbands so I have gone for matching pink hairband for accessory and wore my favourite black ballerinas and I’m good to go. See few more pics from the OOTD. omg I love ur outfit girlie! You look super pretty and my oh my ur beautiful tresses! Love the blazer!! Cute print! Such a pretty outfit. I love your hair and your blazer! laks recently posted…Mother in law or monster in law? 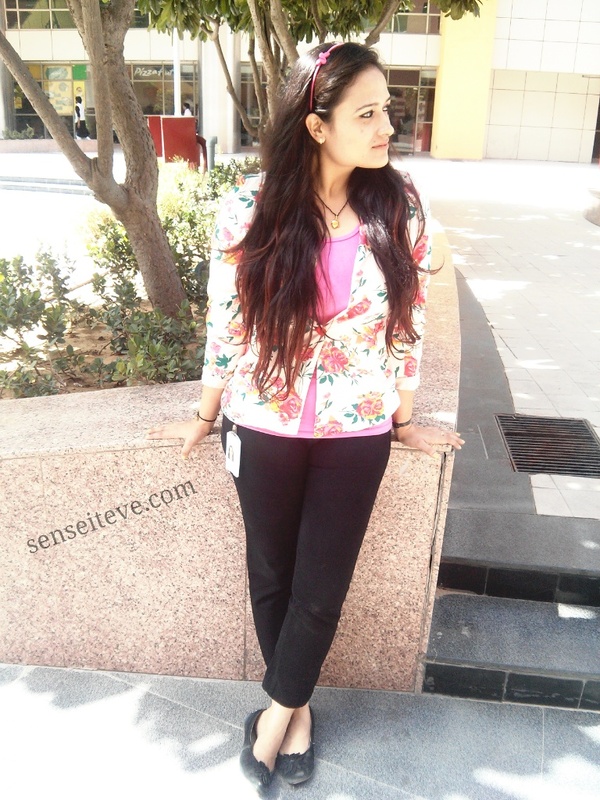 Love your blazer, amazing floral print! Look awesome on you! Love your hair! 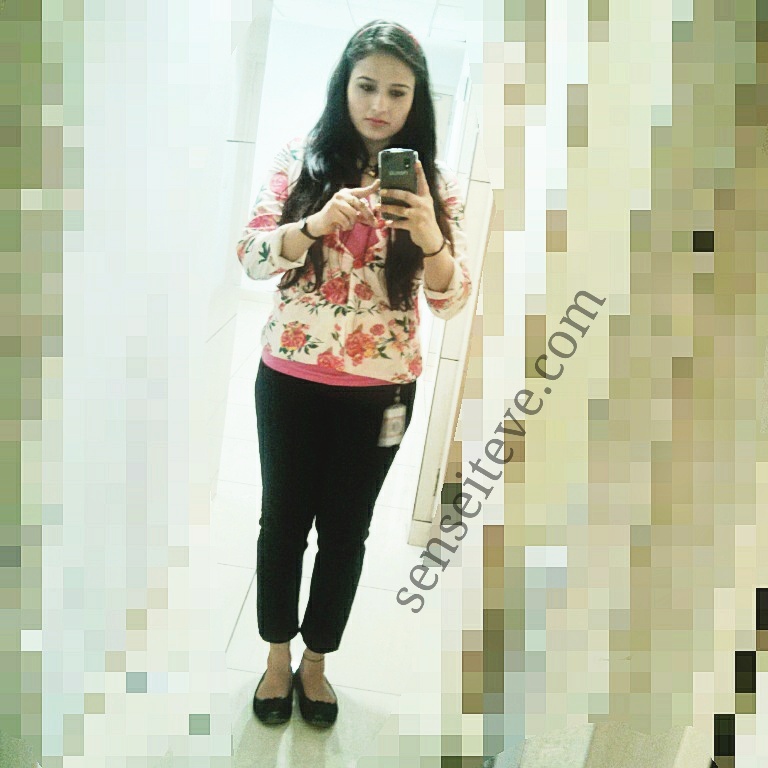 Very pretty outfit Anu, you looking very cool in all the pics. 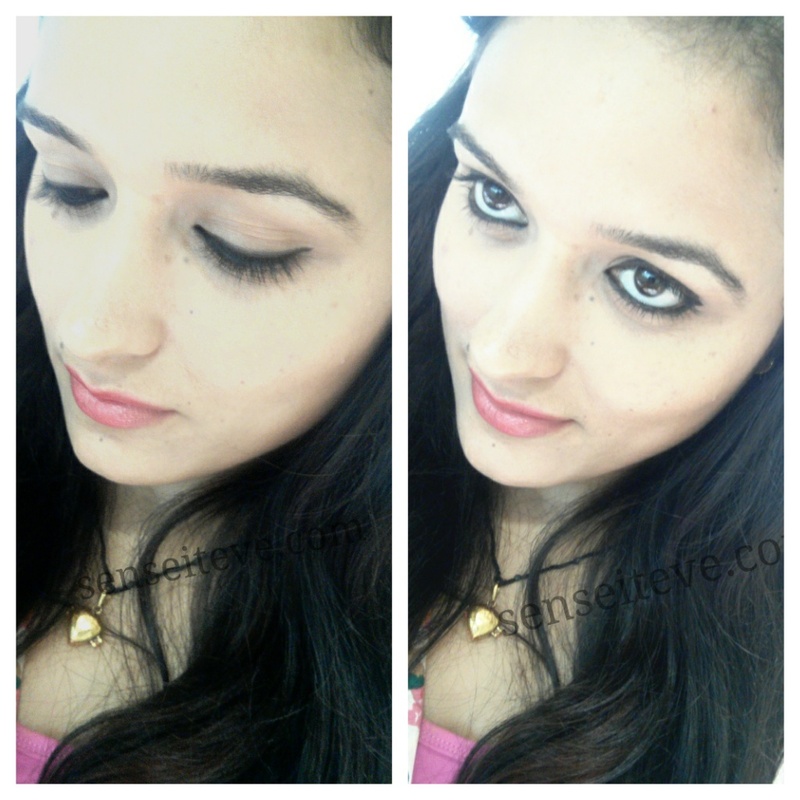 Richa Saxena recently posted…5 Reasons you need to try the Colorbar’s Rosy Red Definer Lipliners! beautiful ootd! loved ur blazer! shifa recently posted…” Hands grow old even when their owner seemingly don’t”~ My Hand Care Routine !!! Wow. Love your jacket and the way you have styled it. If I’m not wrong is this Unitech Cyber Park?